After not too long a wait, Bethesda has graced us with yet more dragon vampire killing fun in the form of the first DLC pack for our best game of 2011, The Elder Scrolls V: Skyrim, best known as the source of repetitive internet jokes which have prompted numerous angry blog posts. Under the title of Dawnguard, this add-on not only gives an extra 6 hours of gameplay but also makes a number of slight additions and improvements to an already great game. 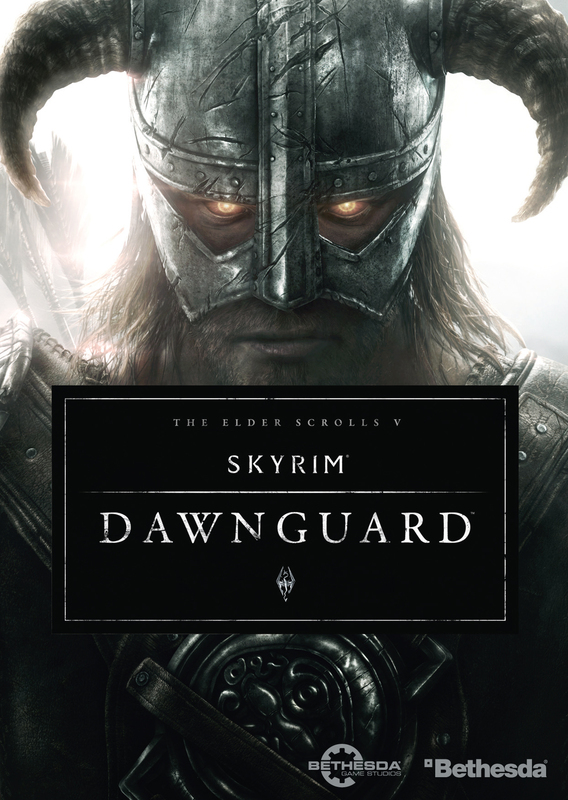 On the whole, Dawnguard’s storyline is not fantastic but it’s still a good addition to one of the best games out there. The quests are fun, with a good mixture of murder, carnage and even the occasional puzzle, the new characters are interesting and in all honesty fun to interact with and, most importantly for an RPG, the storyline is good. My major complaint with Dawnguard is the fact that there is no variety in what you have to do. Just like the rest of Skyrim, each quest is simply run here, kill/steal/Fus Ro Dah this, come back, repeat, and while this can be fun for short periods, I found that after about an hour of gameplay I began to become bored. It would have been nice for a Bethesda to make at least a little differentiation between Skyrim and Dawnguard, but alas no. While the main storyline is at worst disappointing, the rest of the DLC is far superior. There are numerous minor changes to the general gameplay which make the whole experience feel much better than it did before. My favourite addition is that of horseback fighting, as nothing feels better than charging through battle, firing slow motion arrows from the back of your horse. This, along with dragon bone weapons, werewolf and vampire perk trees and other such improvements makes for a significant improvement for an already superb game. Overall, Dawnguard is decent. While the storyline and quests are not what they could have been, everything else that comes along side the questline makes Dawnguard in my eyes worth the money, despite the high price tags. 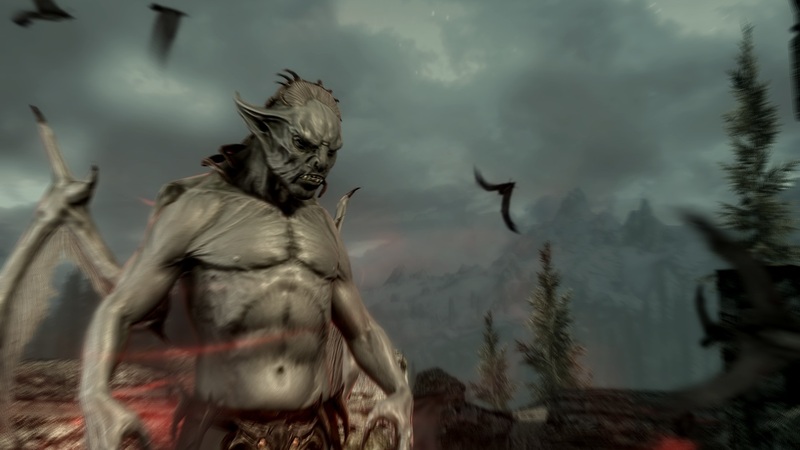 The Elder Scrolls V: Skyrim: Dawnguard is available now for 1600 Microsoft Points (£13.71) from the Xbox Marketplace and for £13.99 on PC via Steam, while Bethesda is said to be ‘not satisfied yet‘ with Dawnguard’s performance on PlayStation 3, and have decided to hold back its release until they can ensure that it will not worsen users experiences in the Skyrim world. Birdwatching is a column by Eddie King. Views expressed are not necessarily those of Digixav. I didn’t manage to impale a sharp projectile into my patella but regardless I have managed to lose my sense of humour over Digixav’s favourite game of 2011, The Elder Scrolls V: Skyrim. Yes, the small red flying feathered ball in the sky is going to be taking the big, scaly, fire breathing monster that is Skyrim. It was one of the most highly anticipated games since the release of Oblivion back in 2005 and when it arrived at school on a November morning even the quietest and most reasonable students became national standard rugby players and managed to barge past most of the school to play it. I did observe and despair, and this is why. A game should stimulate you mentally. It should make you think and feel and it should be an experience. Skyrim is just a way to waste time. The mechanics of the game are repetitive and there are enough side missions to get lost in. Replay value? I think not because the chances are you will never finish the entire game before your mind is reduced to a whimpering mass at the back of your cranium. You play as a violent oaf who can somehow swing some stupidly large piece of some unknown element at some impossibly alive bag of walking bones which can absorb more damage than a Nokia. I guess what I am so angry about is that it claimed to be so good; it claimed to be a vast, open world to lose yourself in. Well yes, I certainly did lose myself in it, the problem being that I didn’t manage to find a way out. The story is just too big and there needs to be an end. An infinite story should not be allowed. I want to be able to enjoy understanding the various intricacies and twists instead of having huge amounts of nonsensical myths and obscure cults that everybody I meet seems to want me to join dropped into my lap and let me wonder what the hell I am supposed to do with it all. This is prominent when you get into the game and you check your mission catalogue, only to find about three pages worth of objectives that you have no intention of completing. Then when finally you do get round to starting AND finishing a quest the formula is the same every single time. Namely go here and talk to this person, pick up another two quests, go there and enter a mildly scary looking cave, wait at loading screen for too long, go inside and navigate a complex array of tunnels, encounter a few enemies which you can get rid of by button bashing which results in the same three moves until they die and finally collect your reward which is the ability to talk to some stars which help you in some practical way. Because stars now control how good we are at stuff, don’t you know. The game lies to you, and after a few hours you have seen everything you are ever going to see. The combat systems are overly simplistic and movements are very slow. Now at this point those of you who are still reading and haven’t taken offence will note that I admit that Skyrim isn’t all bad as the graphics are insane and certain parts of the story are pretty epic. It is also a very good addition to the Elder Scrolls series and the people who have grown used to this style of game will have no qualms where I was tearing my hair out. Also, despite me claiming that it is a mindless game, some of the puzzles are quite challenging but the end is always inevitable. The slow and unrealistic fighting and repetitiveness of the gameplay unfortunately mean that this game becomes boring by the time you are in desperate need of a pee in front of laptop. Skyrim is a good game but is let down by being hyped up far too much and it isn’t the completely free universe it claims to be. Technophobia is a column by James Hardy. Views expressed are not necessarily those of Digixav. I woke up not so long ago, and thought I’d gone mad. About half the people on YouTube seemed to have mysteriously taken arrows to their knees, which meant they couldn’t do certain things which they’d used to be able to do. I did find it sort of weird, but then I thought hang on a minute, maybe the Mayans weren’t so mad after all. Maybe this was the beginning of the apocalypse. WTF is this arrow to the knee? Can one of u gay fags tell me what this arro to the nee thing is? Or something along those lines. We all know how incompetent and horrible YouTube commenters can be. Anyhoo, turns out it is something to do with Skyrim. Apparently one of the guards in it says that he used to be able to do something or other, but then he took an arrow to the knee. I used to (insert something related to video) but then I wondered how on earth he missed that. Am I now an incredible comedian? I honestly don’t see how this is any less funny that the arrow to the knee thing. And you will find it in the comments section of every single fricking video! These will be repeated in some form in half the comments on the video! And people like this crap! Err…why? It isn’t funny, it isn’t original and it doesn’t make sense! 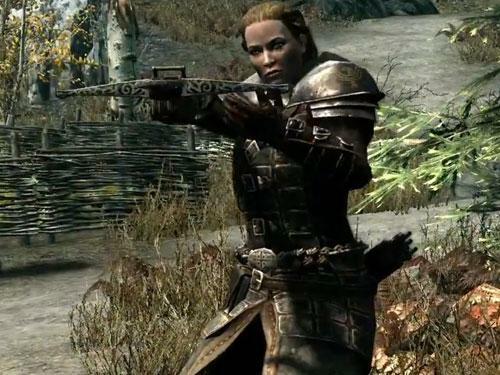 So please, refrain from quoting anything anywhere that is at all related to arrows, knees or Skyrim. And don’t even get me started on Fus Ro Dah.